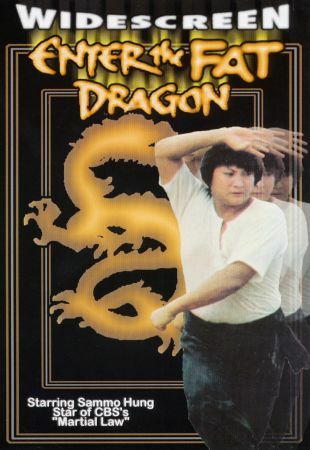 Enter The Fat Dragon is often lumped in with the Bruce Lee ripoffs and cash-in's that make up the disreputable "Brucesploitation" subgenre but it deserves a better fate. This film is actually an engaging comedy in which Sammo Hung, a real-life protégé of Lee, pays affectionate tribute to his teacher without trading on the star's legacy in an exploitative manner. The script is essentially a riff on Lee's Way Of The Dragon, with Hung essaying the role of the bumpkin who travels to the big city and becomes a hero because of his unique mixture of fighting skills and pure-heartedness. The script sometimes overdoes the silly gags but when it focuses on scenes that fuse Hung's martial arts skills with slapstick humor, the results are gold: highlights include a scene where a drunken Hung fights a gang of bad guys while likening different styles of kung-fu to types of food and a multi-fight finale that is as funny as it is thrilling. Hung makes a likeably self-deprecating leading man -- he's not shy about poking fun at how little he resembles his idol -- and his martial arts skills are the real deal. He also directs with confidence, maintaining a solid pace and capturing the many action scenes with a craftsman's eye and sharp editing. In short, Enter The Fat Dragon is a modest but inventive kung-fu comedy that deserves to be rescued from the "Brucesploitation" salt mines.